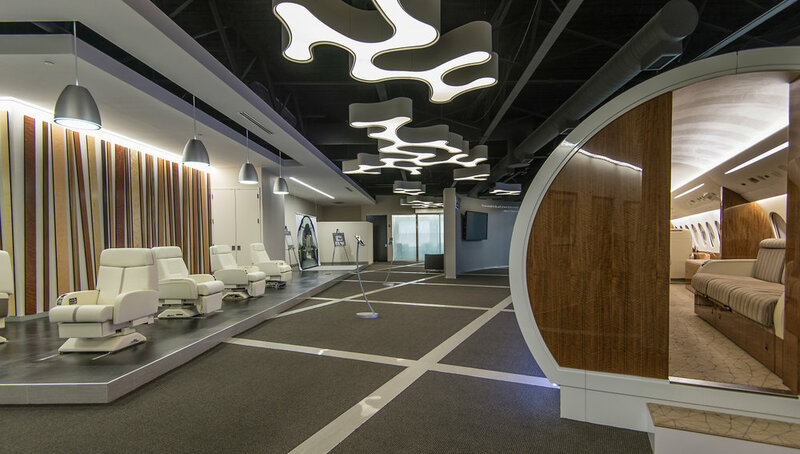 The Dassault Falcon Jet’s new permanent showroom in the Americas generates a space for Dassault’s clients within their headquarters that represents their product and encourages sales. 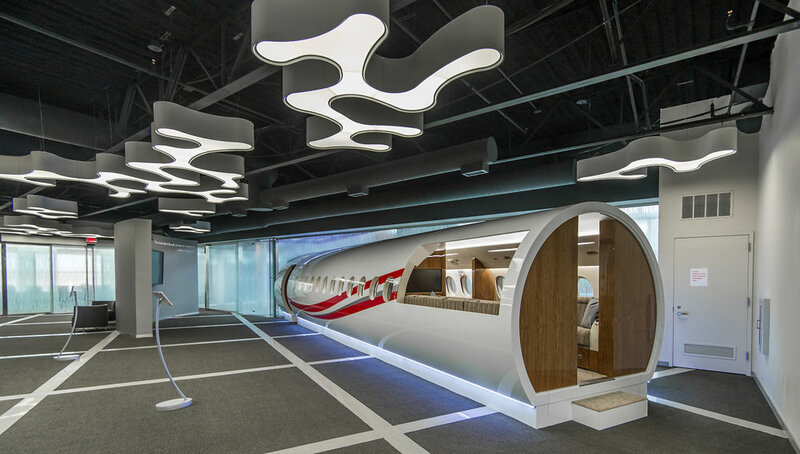 Located within the North American Headquarters of Dassault Falcon Jet Corporation, the permanent showroom displays a full-size mock up of a finished Dassault Flacon 7X fuselage. 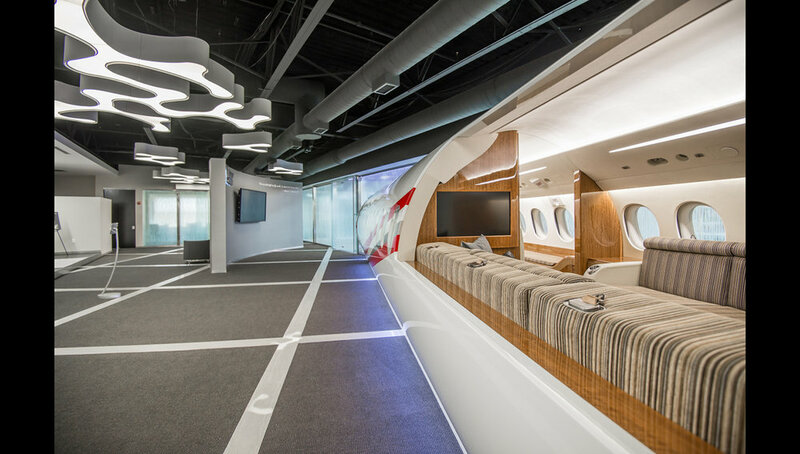 This space furthers the idea of interior branding in the headquarters and display room in addition to duplicating the experience of a full-size plane for clients. The client conference room design, overlooking Teterboro Airport, is equipped with high definition screens and advanced 3D technology. The incorporation of this superior technology compliments Dassault’s use leading digital modeling software, while also enhancing the design process of the cabin. An overhead skylight illuminates the interiors finish selection conference room to provide as much natural daylight as possible, which aids in clients’ selections of interior finishes. While the finish selection conference room is designed with a skylight as the major source of light, adjusted LED lighting throughout the showroom provides the appropriate color rendition for all surface materials. Additional displays of various seating selections, appliances, and galley mock ups are on display to give the client an interactive experience in selecting the options that will make up the interior of their Falcon Jet. 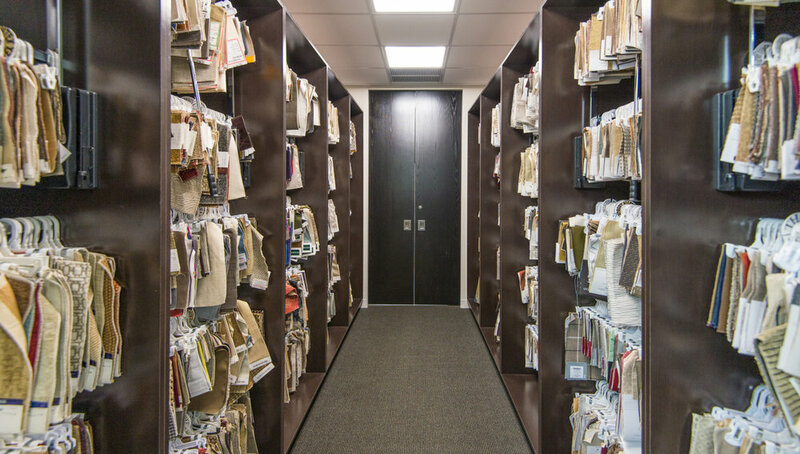 The showroom also includes a private dining room and lounge for clients to retreat to for privacy and comfort.